And no, I am not naive enough to believe that I managed to gain 5 pounds in a span of 7 days (that would be quite impressive). I don't even think I gained a single pound. This is a couple things. Last week I thought the loss was a fluke (but that was about a pound). This week I have been bloated and retaining water. Visually noticeable. My calves were in serious pain all week and they were definitely bigger (as the lovely BF told me as he squeezed them and I grimaced in pain). Plus it is that time of month. So water weight on top of water weight. The calves are both feeling better, I still don't know what created that but basically I was going to not even report this week but would rather be truthful. I was within my points all week and didn't really use activity or weekly (which can also have a negative effect I have learned), had some of my best runs (yay 7 miles last night!) and workouts but knew the bloat was happening so stepped on the scale and took the number with a grain of salt. 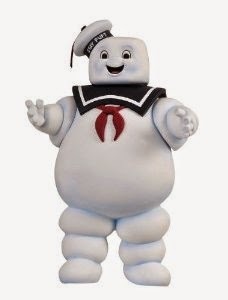 Now lets hope I depuff soon because right now I feel like the Marshmallow Man. Off for a fab dinner date of wine and pasta - that is how I feel about "weight gain" !